It’s officially summer in the Philippines! And while going to the beach to cool off is definitely on everyone’s list of things to do during the break, you really can’t stay the whole summer lounging on the sand and swimming on the sea, can you? In between your beach get-aways, you may want to try a few things you can do within the confines of the city too—and there’s actually a lot you can do within Metro Manila without the need to spend hours on end driving out of town. To make things much easier, you can even book your tours within Metro Manila via Traveloka. As one of the top travel apps in the country for booking flights and hotels, Traveloka has now upped its game by letting its users book tours within the app. Just fire up the app, click on the “Attractions & Activities” tab, then either search for places or activities. Besides tours in the Philippines, they also have international activities covered. Convenient and hassle-free, eh? Here’s a few things you can do in Manila this summer via Traveloka. Visit the one and only high-tech science museum in the Philippines, the Mind Museum. Located right in the middle of BGC’s soaring skyscrapers, the museum has five futuristic zones perfect for kids and adults alike—Atom, Life, Earth, Universe, and Technology. 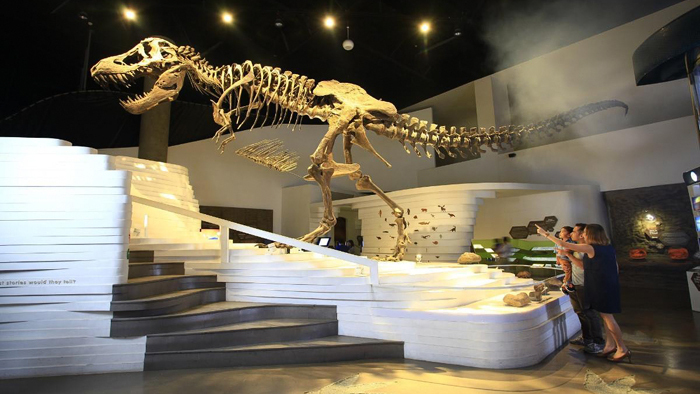 With more than two hundred interactive exhibits plus astounding displays like a full-sized T-Rex skeleton, a life-sized butanding, and even a planetarium, this is definitely not your ordinary museum. It’s a good way to learn about things while having lots of fun along the way. If gaming is more your thing, it’s time to unplug your game consoles, get off the couch and discover the interactive worlds of Virtual PH at the Ayala Mall in Pasig. It has four unique zones for every type of gamers—vehicle, rollercoasters, and even Iron Man simulators for speed junky racers; an immersive zone for shoot ‘em ups with zombies ala The Walking Dead, aliens, and Counter Strike-ish military scenarios; a mystery and escape room area for Sherlock Holmes and Dr. Watson fans where you can go in groups to solve puzzles; and finally, for loner types, a zone where you can try single-player VR games from around the globe. For selfie addicts, the Art In Island Museum at the Araneta Center in Cubao can be the perfect place to juice up your Instagram feeds. 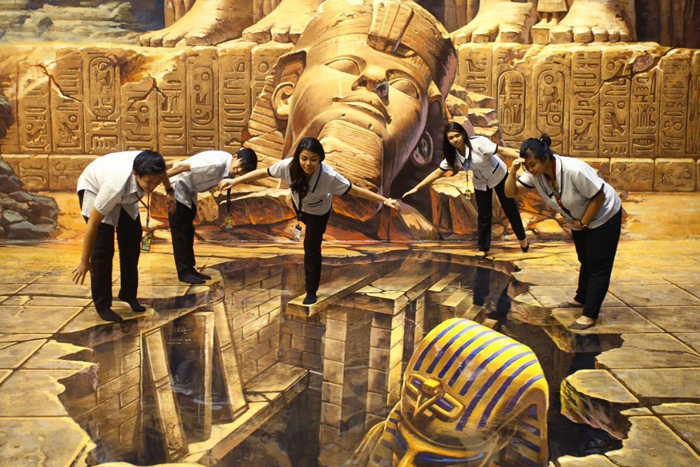 Considered as one of the largest 3D interactive trick art museums in the world, it has no less than twelve art zones—the newest of which is the Hiwaga Zone, a glow-in-the-dark area where they feature the treasures of the Philippines. 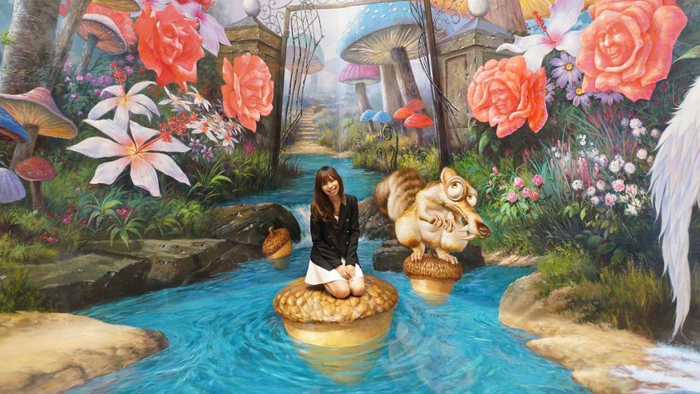 After taking unlimited selfies with your friends on more than a hundred realistic wall-to-floor paintings, check out the Media Art Show where paintings literally come to life! 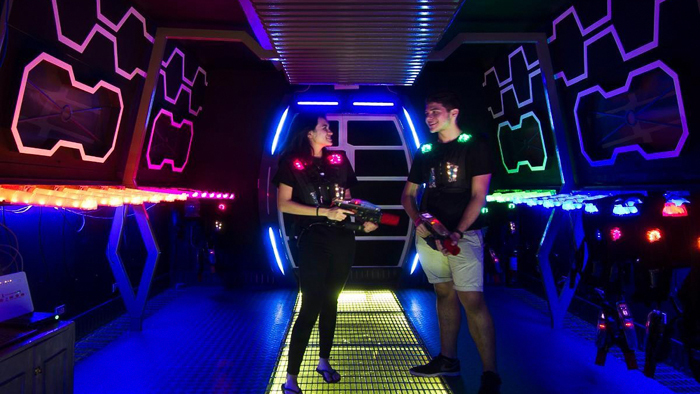 Science fiction fans can literally have a blast and unleash their inner geekiness at LazerXtreme at the BGC. 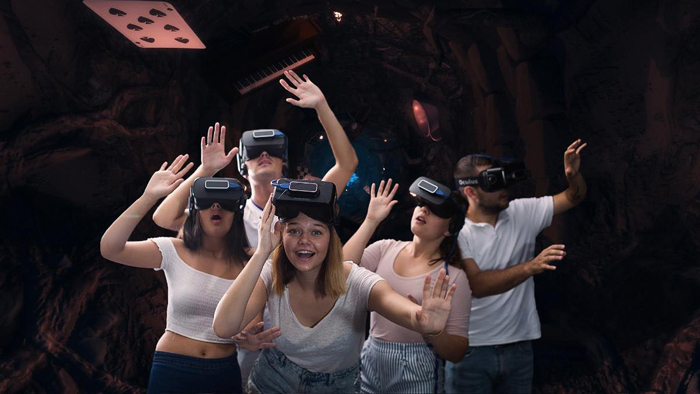 Don your Helios PRO gear—the latest in laser tag system—and blast away with your friends on twenty two customizable game formats along a split-level arena inspired by classic sci-fi movies like Tron, Avatar, Red Earth, and Star Trek. This is probably the next best thing to battling using lightsabers with your friends. Summer can also be the time to reacquaint yourselves with the story of Manila. Join the half-day Old and New Manila tour. The journey starts at the American War Memorial in Taguig, a rolling landscape filled with white crosses from the soldiers of the Second World War, then to the Rizal Park where our national hero is laid to rest and the Kilometer Zero of the Philippines, on to the Walled City of Intramuros, and finally the historic Fort Santiago. The tour includes transfer services (by car or van) and an English-speaking guide. 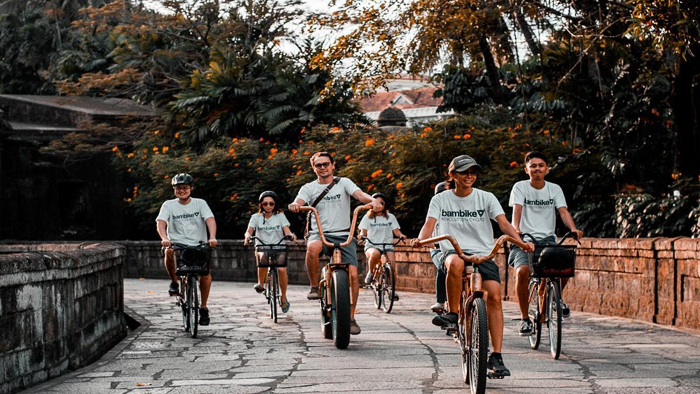 To complement the Old and New Manila Tour is the Bambike Intramuros tour. Riding a Bambike—an eco-friendly bicycle made of bamboo and each uniquely designed and crafted by the Bambuilders of Gawad Kalinga—you get to visit up to ten historical sites along the Walled City—plazas, gardens, forts, churches—including the UNESCO World Heritage Church of San Agustin, which is also the oldest church in the Philippines. The tour comes with an English-speaking guide, lasts for two and a half hours, and has a free iced tea or an ice cold craft beer at the end of the tour. Quite a unique way of seeing Intramuros. 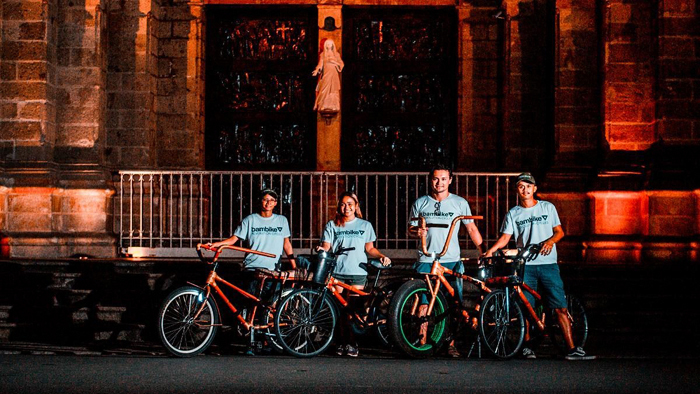 If biking around under the heat of the sun isn’t your thing, there’s also a Bambike Intramuros night tour. It has almost the same itinerary as the day tour, but less than an hour long, but with a more romantic feel and lesser chance of a sunburn. It is summer, after all in the Philippines! And there you go, with Traveloka’s newest offerings, there’s no reason to laze off your summer days! You can download the Traveloka app on Android Play Store and iOS App Store. You may also access Traveloka online.